I returned to the Embassy in Belgrade to be told to watch on TV what was happening in New York. I did. The Twin Towers crashed. This level of Islamist madness is quite different. It can’t be defeated by normal means. Only moderate Muslims can do it, if they have the courage. And what will they demand from us as the price for sorting out their own lunatics..? What was 9/11? One thing it was not was a ‘tragedy’. A speedboat death or a fatal fire in a tenement caused by drunkenness is a tragedy. Some things are so much bigger than mere tragedies that it is insulting if not evil to use that sort of language. Yet a sizeable ‘liberal’ tendency wants to shrink 9/11 down to something manageable, if not banal. The whole picture can’t be seen. So, instead of planes and skyscrapers, it has Yoko Ono’s “Wish Tree,” on which you can hang little tags with your ideas for world peace. On a day when all the fancypants money-no-object federal acronyms comprehensively failed — CIA, FBI, FAA, INS — the only bit of government that worked was the low-level unglamorous municipal government represented by the Fire Department of New York. When they arrived at the World Trade Center the air was thick with falling bodies — ordinary men and women trapped on high floors above where the planes had hit, who chose to spend their last seconds in one last gulp of open air rather than die in an inferno of jet fuel. Far “too soon” for any of that at New Jersey City University, but perhaps you could reenact the moment by filling out a peace tag for Yoko Ono’s “Wish Tree” and then letting it flutter to the ground. Read the rest. And get very angry. While you’re doing that, reflect on the assertions now flying thick and fast that BlairBusHitler are responsible for "a million deaths and five million orphans" in Iraq and much more in Afghanistan, Pakistan and elsewhere. The point here is that the vast majority of these deaths are Muslims murdering other Muslims. Part in fact of the battle I predicted, between more or less moderate Muslims and the lunatic not-so-fringe. That battle has to be fought. See events across North Africa now. It reflects a huge ‘civilisational’ fault-line in Islam, where the various tendencies have played upon our dependency on oil to get fabulously rich and then lever up the struggle to the point of putting global security at risk. The casualties in this war are bound to be huge, as the propensity to madness, extremism and savagery among extreme Islamists is so high. Where do we as mere honest citizens fit into this war? 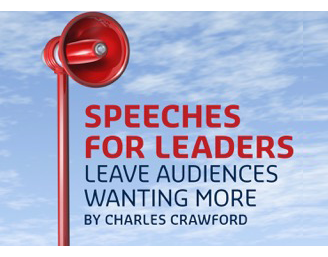 Watch George Bush and Bill Clinton tell us, in a superb example of the speechmakers’ art drawing on the stunning events themselves and looking at the wider lessons. They were speaking at a commemoration of the heroism of the passengers on Flight 93, who rose up against the deranged hijackers and thwarted their plan to blow up Washington – at the cost of their own lives. Aboard United Airlines Flight 93 were college students from California, an iron worker from New Jersey, veterans of the Korean War and World War II, citizens of Germany and Japan, a pilot who had rearranged his schedule so that he could take his wife on a vacation to celebrate their anniversary. When the passengers and crew realized the plane had been hijacked, they reported the news calmly. When they learned that the terrorists had crashed other planes into targets on the ground, they accepted greater responsibilities. In the back of the cabin, the passengers gathered to devise a strategy. With their selfless act, the men and women who stormed the cockpit lived out the words, “Greater love hath no man than this, that a man lay down his life for his friends.” And with their brave decision, they launched the first counter offensive of the war on terror. The most likely target of the hijacked plane was the United States Capitol. We’ll never know how many innocent people might have been lost, but we do know this, Americans are alive today because the passengers and crew of Flight 93 chose to act, and our nation will be forever grateful. The 40 souls who perished on the plane left a great deal behind. They left spouses and children and grandchildren who miss them dearly. They left successful businesses and promising careers and a lifetime of dreams they will never have the chance to fulfill. They left something else — a legacy of bravery and selflessness that will always inspire America. If anything Bill Clinton is even better. Watch the video to see how he uses rhetorical pauses and historical allusions to put the Flight 93 passengers up there with some of the world’s finest historical heroes. There are no sure, safe, rational, reasonable ways for dealing with the sort of cynical, depraved wickedness which Bin Laden represented. In fact these extremists bank on our very reasonableness to create operating space for themselves in our own societies. But they are not doomed to succeed. Security measures work. Some moderate Muslims are fighting back. Western intelligence agencies have benefited from defectors from Islamic communities and used the information gained to destroy Islamist extremist leaderships and their structures. Spare a thought for those Muslims who have risked all to work with us and been murdered when they were discovered. They are true citizen heroes too. Since 9/11 we have done quite a good job in scaling down the risk in the ‘West’. Soft policies of inclusiveness/diversity have a role. They show a willingness to talk, within civilised limits. So does killing our enemies. That shows a refusal to be defeated.